Nori by Noriko is a short, wavy and textured hair style with a basic cap with open wefting, that is breathable, lightweight and provides built-in volume on top. And with the pre-styled synthetic hair, this short wig is ready-to-wear! Also available in silver stone grey. Open wefting in the basic cap - creates better air ventilation, which provides more coolness on the scalp. 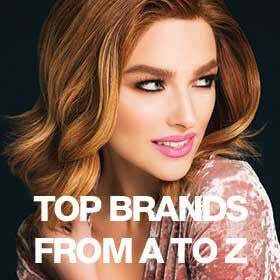 Synthetic hair - is pre-styled and ready-to-wear.